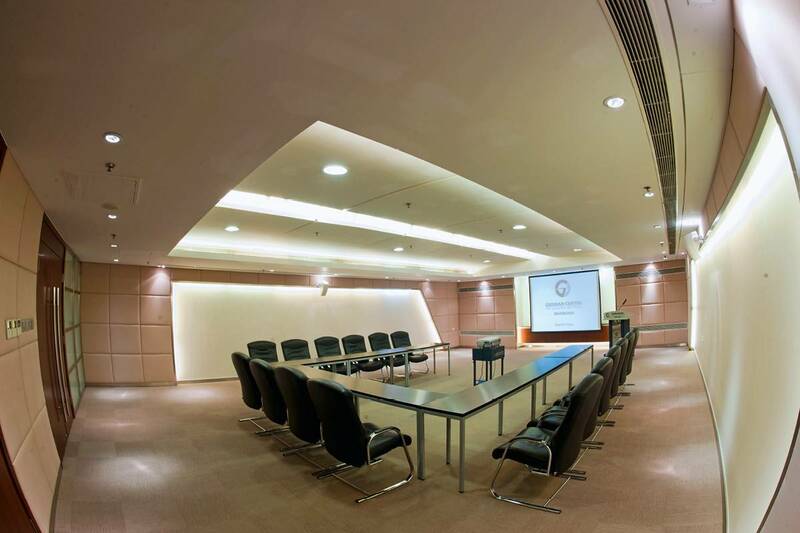 Adjacent to the Atrium on the ground floor is our smallest meeting room, the “GC Room”, located. With 30 sqm the GC Room offers space for up to 15 people. It is equipped with top-notch technological facilities, such as projector and screen as well as video-conference equipment. The private room with indirect sunlight from the atrium is suitable for small meetings and presentations. For confidential business discussions and presentations the windows can be darkened. We would be pleased to assist you in finding the best room for your individual needs. Please contact us.